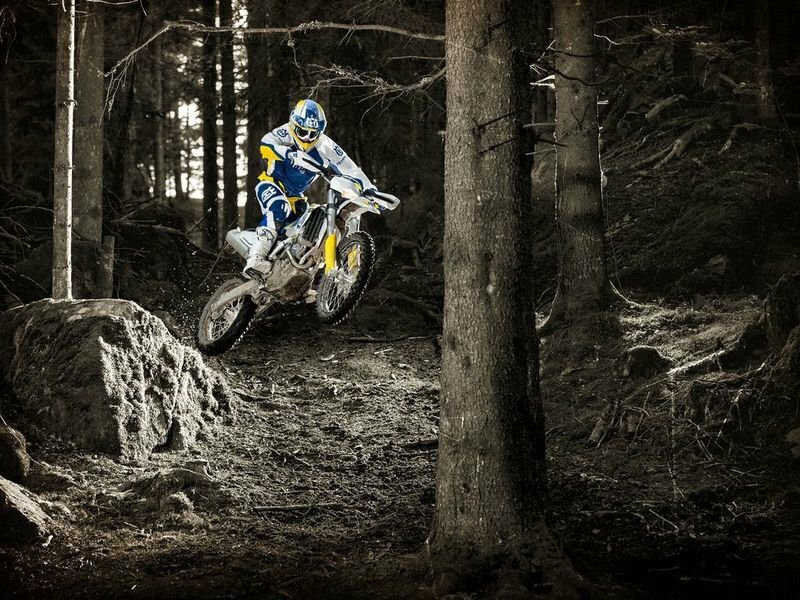 The 2014 Husqvarna FE 250 is an agile off road motorcycle that has all it needs to be considered one of the best models in its class. The motorcycle is equipped with the latest technologies in the business so it can tackle any terrain with poise. It is built on a central tube frame made of chrome molybdenum steel tubing which sits on a WP Suspension Up Side Down 4CS fork and a rear WP monoshock with linkage. 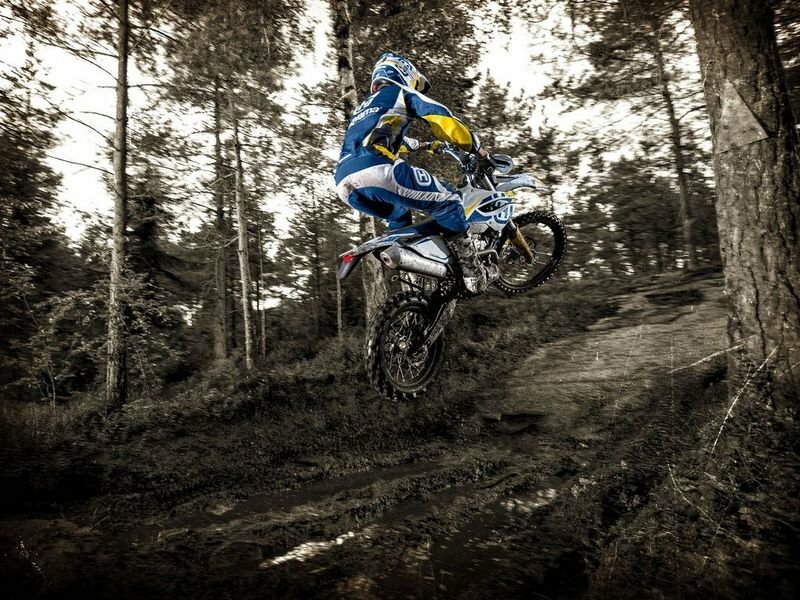 As far as power is concerned, the 2014 Husqvarna FE 250 is propelled by a 249cc, 1-cylinder, 4-stroke, water-cooled engine which is brought to life by an electric starter. The engine’s power is kept under control by a 6-speed, claw shifted transmission with wet multi-disc clutch. 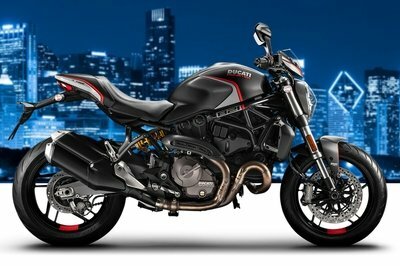 The motorcycle has a dry weight of 107.5 kg and comes with a 9.5 liters fuel tank. 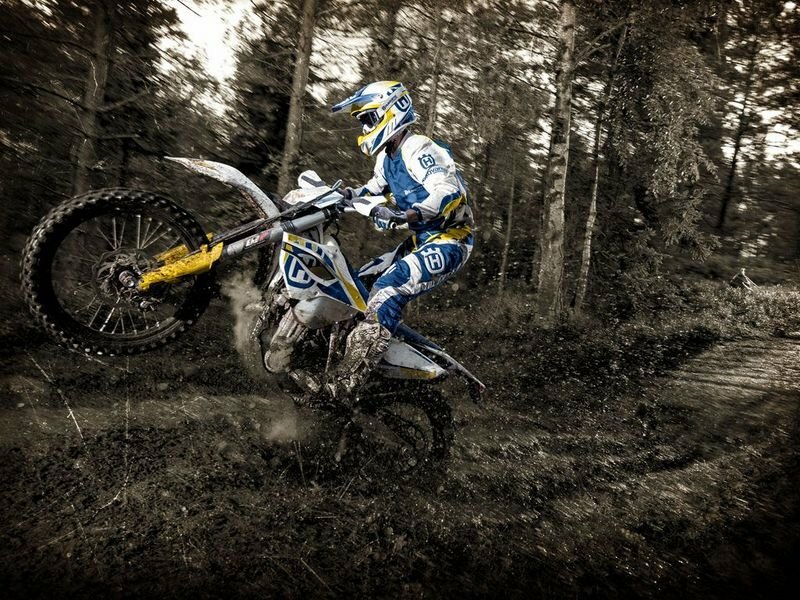 Hit the jump for more information on the 2014 Husqvarna FE 250. Agility, handling and a super precise chassis allow riders of all levels to easily tackle all sorts of terrain and challenges. 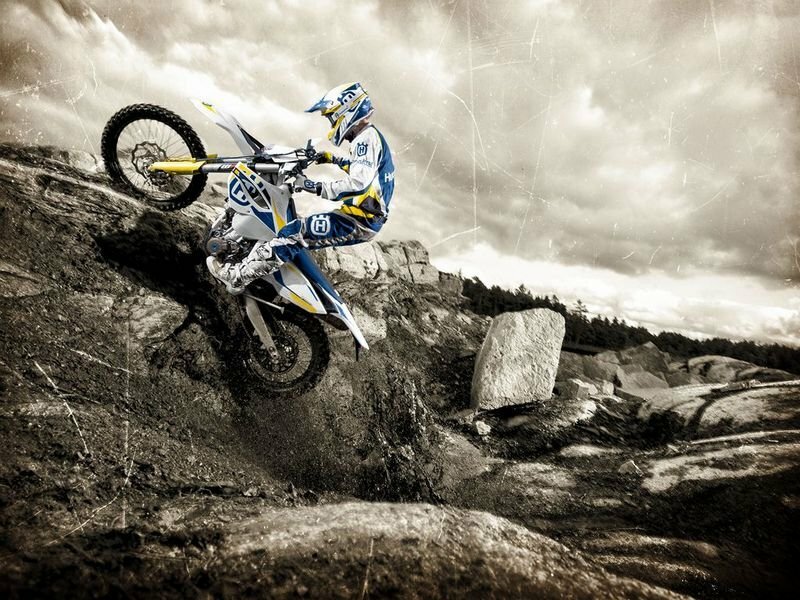 The low weight and powerful and torquey engine, matched to carefully engineered ergonomics make the FE 250 a formidable race weapon, one of the finest Enduro bikes to wear the glorious Husqvarna badge. 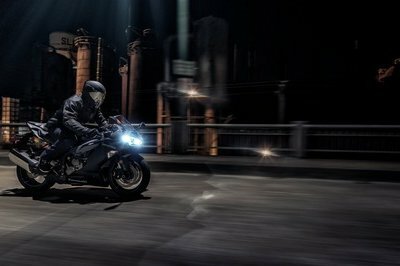 Small and light, the FE 250’s power plant produces vast amounts of power and torque for its displacement. The engine has been tuned for Enduro riding thanks to specific cams that boost midrange power and deliver superior torque, resulting in superior tractability, while not overlooking top performance. The advanced DOHC cylinder head features large valves, DLC coated followers and flow optimised ports. An intermediate multifunctional shaft, driven by the crank shaft, runs the water pump and cam chain. It acts as a counter balancer shaft for smooth running and also contributes to the compact engine layout. The large 78mm bore cylinder features a König forged bridged-box-type piston and a short stroke to enhance revving. The compression ratio is 12.8:1. 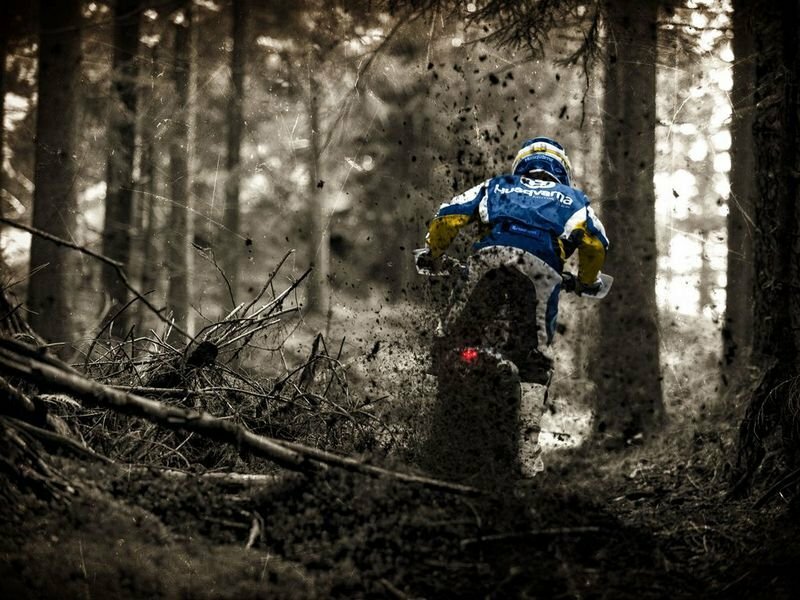 Traction is important in Enduro, that is why the FE 250 fits a dedicated flywheel that improves traction compared to a typical Motocross setup. The brilliant power delivery of the Motocross version remains thanks to the short stroke, as do the durability and long service intervals. The crank shaft and con rod are produced by industry leader Pankl, and feature a plain big end bearing and force-fitted bearing shells to ensure that these apparently contrasting characteristics can be combined in a single, formidable 250cc engine. The FE 250’s engine features a Keihin electronic fuel injection and 42mm throttle body for great throttle response and engine performance that is optimised for tough Enduro riding conditions. Energy to the electrical systems is supplied by an oil-cooled 196 W AC alternator. The optional Husky Power map switch allows riders to select maps. It is also possible to download engine data with a laptop via a Setting Tool. 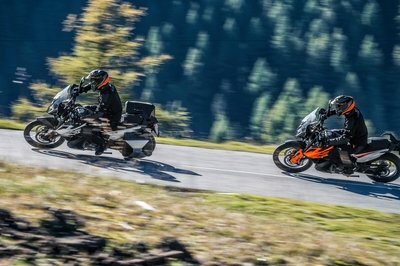 A sign of the times is the electric starting system of the FE 250. Even at the highest level of competition, an electric starting system is always appreciated, especially after a crash. The lightweight, three-piece construction of the polyamide rear subframe is more flexible than a traditional aluminium rear subframe. Combined with the longitudinal flex of the frame, this gives riders a more comfortable and confidence-inspiring feeling on the bike, allowing them to push the limits in every condition and on any terrain. The inherent characteristics of the composite subframe allow the engineers to have unlimited opportunities of integrating features such as the airbox, electronics and rear grab handle. The interface between man and machine is the bodywork, which has been tightly wrapped around the engine and frame. 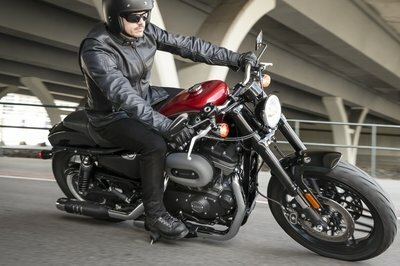 The slim and stylish lines of the side panels and radiator shrouds allow for optimal movement while riding, resulting in superior control, and faster and safer riding. The polythene fuel tanks fit perfectly within the tailor made bodywork and feature an easy opening bayonet-type filler cap. The FE 250 fuel tank has an integrated fuel pump.